Stephen Crombie believes if police officers need more than two hours of training before they can use their new mobile devices on the field, “it means we did not develop the applications well enough”. So when New Zealand Police rolled out more than 15,000 smartphones and tablets a year and a half ago, the “end to end training” for users lasted just two hours, says the organisation’s executive director – information, technology and systems. “We designed the applications to be straightforward, with minimum training because there are lots of training online as well if they want to find different aspects of the service,” says Crombie. The rollout was part of a 10-year contract with Vodafone to provide mobile services, including the latest smartphones and tablets, to 6500 frontline officers. “We made a conscious choice to build everything around the work of the officer,” says Crombie. For example, while developing the apps, the team considered the different conditions officers work in: The screens need to be easy to read on both a rainy night and a sunny day. We really focused on understanding what officers need, translated that into models of how they were going to operate, and then translated that further into software using the Agile development process. Mobile interaction has to be “lightning fast”, and the information should follow people on the field and be easily shareable regardless of who created it. The information is also captured once at the source and reused multiple times throughout, saving time and increasing accuracy. “The big concept was to reduce the amount of time [officers] spend back at the station and also to give them much more information out in the field so they can deal with issues, deal with the victims and the public,” says Crombie. From a technology perspective the major challenge was to develop the apps for iPhones and iPads that operate with the backend systems to create a seamless experience and enable information to be transferred effectively. 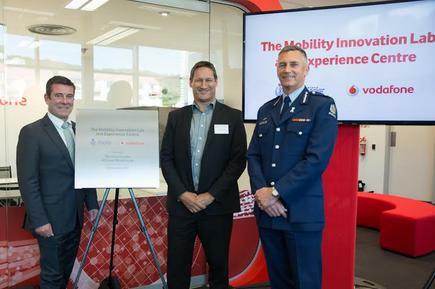 Police Minister Michael Woodhouse, Vodafone CEO Russell Stanners and Police Commissioner Mike Bush at the opening of the Mobility Innovation Lab and Experience Centre in Wellington. “What we found was the more we focus on workflow and bringing all these together in a coherent way between the applications, the more time it saves for our officers,” says Crombie. The Police then recruited ‘mobile champions’ across the organisation during the three-month rollout. He says the organisation has very extensive security management across all the devices, with 24x7 monitoring. If a device gets lost or is “suspected” to be lost, data can be remotely wiped. The deployment of mobile technology is forecast to deliver productivity savings of more than 520,000 hours per year (based on a trial involving 106 staff in four districts), or the equivalent of 30 minutes per person per shift. 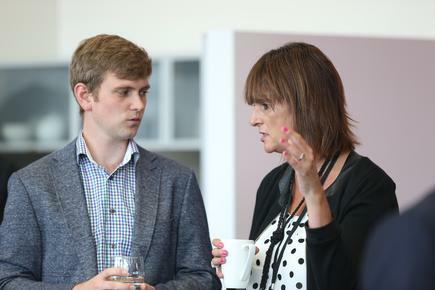 “It gives us a real rich input from the field,” says Crombie, in an interview with CIO New Zealand at the opening of the Vodafone Mobility Innovation Lab and Experience Centre in Wellington. 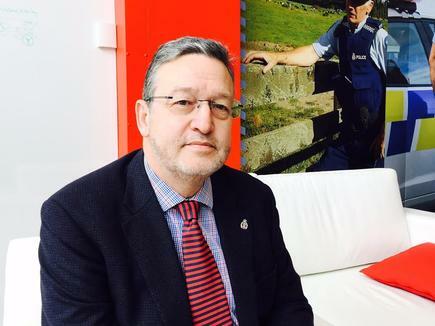 The facility aims to provide a collaboration and innovation “sandbox” for ideas and tools to support day to day operational policing, says Vodafone New Zealand CEO Russell Stanners. While it was developed with the NZ Police, Stanners says other government agencies and customers will also be invited to use it. Stanners says the idea for the centre came during a meeting with the NZ Police five weeks earlier. It is one of two such centres developed by Vodafone. The other one is the “innovation incubator” – the xone – in the Vodafone building under construction in Christchurch. 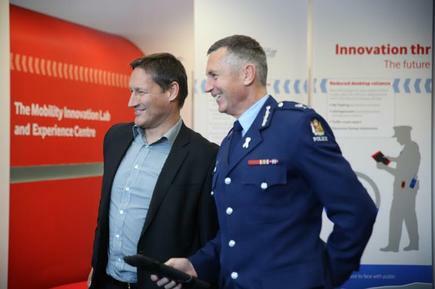 Vodafone CEO Russell Stanners and Police Commissioner Mike Bush at the opening of the Mobility Innovation Lab and Experience Centre in Wellington. Vodafone recruited five local and international ‘volunteer’ partners for the centre: Nokia (Finland), Airpoint (UK), Smudge (NZ) Intergraph (NZ/US) and BroadSoft (US). The centre has been laid out as an open plan, modern wireless workplace to encourage flexible working, says Sandra Pickering, technology executive, Vodafone. It has a fully contained 2/3/4G network for teams to develop and test mobility projects securely in a live environment. 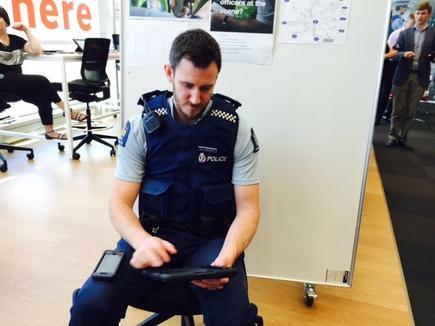 Jake Atwood, a community constable at Johnsonville in Wellington, says the mobile rollout "enabled us [Police officers] to have most of the office work available in our pockets". While there is still a certain element of paperwork that ties you down to the station, a lot of the tasks can be done using the iPad and iPhone. Plus, if anyone needs information from colleagues that is critical to what they are doing on the field, that is available much quicker. We are no longer bound by desktop computers at the station. 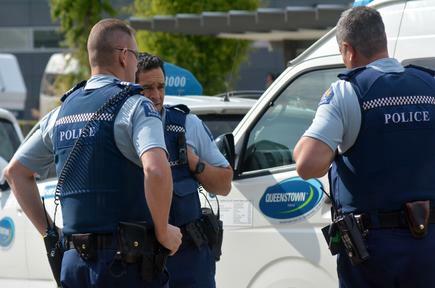 He cites a recent example when a tourist was attacked and his wallet stolen in the Wellington central business district. The incident was not covered by the Wellington City Council camera, but they were filmed by another camera in the alley where the two offenders fled. Atwood took screen shots of the offenders with his iPhone and emailed it to colleagues in the city. “They knew exactly what the offenders were wearing, their height, built, and ages,” he relates. The two offenders were caught within the hour. The idea was to have a space where we can take people out of their normal working environment, and create ideas and innovation. He says the two apps Equip and Responder were basic and easy to use. Equip gives police accurate information on persons and vehicles from the national intelligence application, transport, and justice sectors. Mobile Responder provides the officer with real-time interaction information on current jobs, and allows them to update that information on the field. Another app, “Tasking”, aims to improve task management on the field. This will reduce the need for police to return to the station to complete administrative tasks or access intelligence reports. The immediate reporting and visibility of the status of the tasks means supervisors can direct the officers to respond to demands in real-time.